This half section is farmed as one field. Located just east of Nipawin, Saskatchewan. The land rates as “level to nearly level” with “none to few’ stones. The soil is a White Fox “fine sandy loam” and “very fine sandy loam”. 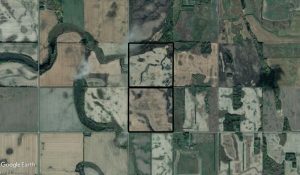 This land is near a major canola crushing plant and several major high throughput elevators. Check out this great drone footage to see the whole field! Contact Ted Cawkwell to learn more or to make an offer today! Call 1-306-327-7661 or email ted@cawkwellgroup.com.